I am not a "floral" person. Pretty, ditzy floral prints just make me look as if I am wearing them for a bet, but as Spring crawls round I yearn for brighter, spring-like clothes that I can wear without looking ridiculous. 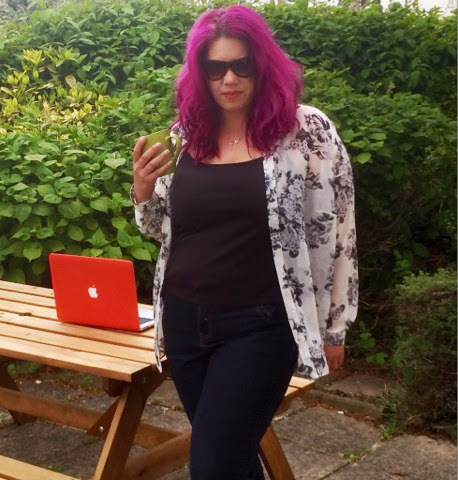 When I was asked by New Look to try out something from their Inspire range I thought I would try to push myself from my comfort zone and try out something different. I will take this print in everything you have please, New Look. 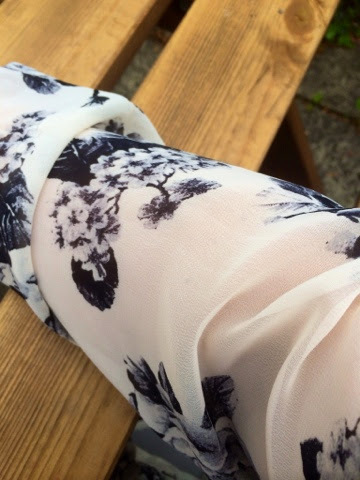 I have fallen completely in love with this sheer blouse from New Look, which can be found -> HERE Especially with the weather being as changeable as it can be. I can wear it open over a vest top or as I have been wearing it, buttoned up with jeans and a blazer jacket. 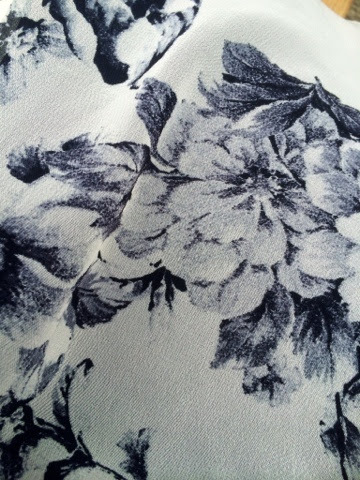 I love the sheerness of this fabric. So what do you think of my choice? Personally I'm loving the Inspire range from New Look at the moment. My only sadness is that they don't seem to have much of the range in-store and I'd much rather try things on. 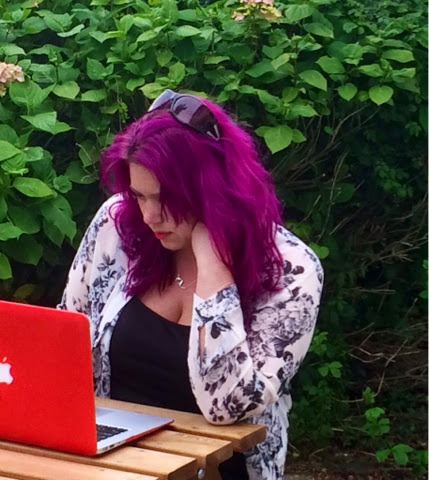 Your hair is bloody awesome. I buy almost all my clothes from New Look Inspire.